Running a contest on Facebook is a powerful and effective approach in building buzz, awareness, and engagement as well as generating more fans. 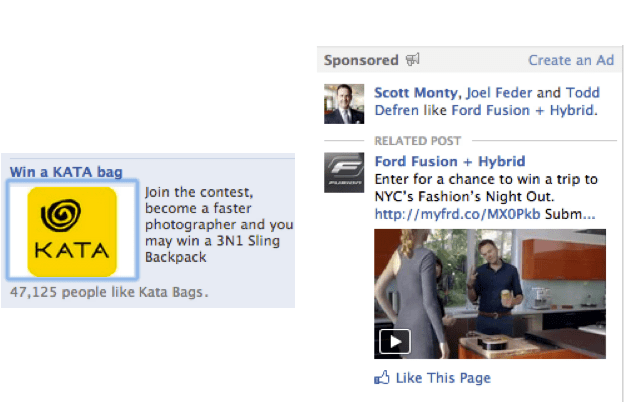 As beneficial as it may seem, Facebook contests can only be effective if it is properly promoted. Just as managing a Facebook page is not as simple as people think, running a contest may turn out to be pointless and a waste of your resources if it is not effective. And by that I mean if it does not work towards achieving your goals on Facebook. Unless you already have loyal and large fanbase on Facebook, the chances of your contest gaining momentum and getting the best possible reach is slim. You can’t build buzz if there aren’t anybody to buzz with. Facebook advertising is one of the best ways to reach your targeted audience. One thing to make sure is that you have your contest app set as your landing page when users click on your advert. This is a brilliant way to reach your audience directly. Here is some examples of ads promoting their Facebook contest. Utilize your mailing list! If you already have a mailing list, you can easily send out an email to let those subscribers know about your contest. Their subscription should already mean that they are committed to your business and chances are they will be interested to participate with your products. However be mindful of sending a blanket mass email if your mailing list is relatively large because more often than not it will be filtered as spam and will not reach your subscribers. Keep your message short and sweet with minimum pictures and links. Remember, the idea is to direct your subscribers to your Facebook contest landing page, so you don’t need to include all the information into the email. If you don’t have a mailing list, then simply send through your list of mail contacts, your facebook friends, your Twitter followers, and whatever contacts you have. Keep in mind that a well-groomed and targeted mailing list should still be your priority. Have you noticed a particularly engaging fan that frequently shows support for your brand? If you have, then that person might very well be a brand advocate. Engaging with these advocates to participate and promote your contest is an effective way to instantly build buzz. It is also a great way to humanize your promotions and is a form of word-of-mouth marketing that we all know can be influential. One thing to remember is that these advocates are individuals that already know and love your products, so be sure to be extra nice to them or there might even be a negative effect. Alternatively, another way to tap into influential users followers is to have them be part of the contest. Ted Baker, a UK fashion retailer did something similar last year when they approached three fashion bloggers to be photographers for their Facebook contest at selected stores. All three bloggers wrote a few blog posts prior to the event and asked their readers to come down to the store to join them. That’s pretty cool to me. A picture is worth a thousand words and photos are probably the easiest and best way to captures someone’s attention on Facebook. Use it to your advantage! It’s hard to go wrong when you have appealing images that stand out by themselves. Here is an example from Cheese & Burger Society on how they are using photos to capture attention on. As you may have noticed, that brilliant photo of a burger had 58 shares and had definitely helped in increasing participants for their contest. In general, only 16% of your Facebook fans see your wall posts. This is a huge problem especially if you are actively running your business through it. Facebook’s answered to this problem by rolling out their Promoted Post option, where a specific post can be promoted to reach a higher audience. The downfall to this is that you will need to pay for it. The good news is, if you’re just starting out, it will only cost you a small fee of $5 or $10 depending on the targeted reach. This is a great way to promote your contest and to reach fans who might otherwise have missed it. Did you know that you can use your timeline cover to tell people about your contest? Not only is your timeline cover a ‘premium’ advertising space for your contest, there will also be an update to your fans about the changes of your timeline cover. Since you can’t set your landing page without paying for it through Facebook Ads, a well-designed timeline cover is a good alternative to promote your contest. Here is an example from Mari Smith who used the cover image to let people know about her contest.. Note: You have to make sure that you abide the timeline cover terms and conditions. Read here if you are not aware of what they are. Lastly, don’t forget to consistently promote across other social networks. 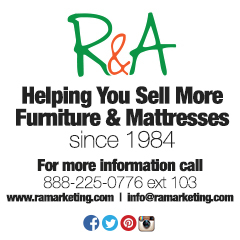 Many businesses forget to consistently share their contest on other social networking sites. The truth is, your audience is not only on Facebook but also on Twitter, Youtube, Pinterest, and every other social network. Your audience is everywhere, so if you do not promote everywhere else, then your contest is probably not reaching its maximum potential. Having said that, don’t forget that a blog is yet another great way to promote your Facebook contest. People tend to forget that blogs have audience that subscribed through RSS who may not be on any other social networks. Blogs are also a great way to give additional (and more detailed) information about your contest and have the capability to bring traffic to your site through social sharing. Unless you have thousands of engaged fans who engages with you constantly, your contest will need a little push. Your Facebook promotion or contest will be as successful as the promotion that goes behind it. The more exposure your contest gets, the more potential entrants you get.